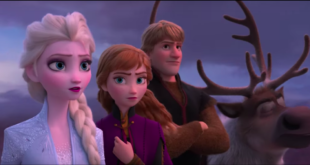 Frozen 2, and a stage show, are on the way claims Idina Menzel who voiced Elsa. Frozen star Idina Menzel has revealed that a sequel to the smash hit Disney film is "in the works". Menzel believes she will be back for Frozen 2 but she will not involved in the theatre production. “Not the stage show – I don’t know what will happen with that – but the movie hopefully," said Menzel. "We’ll see. I’m just going along for the ride."